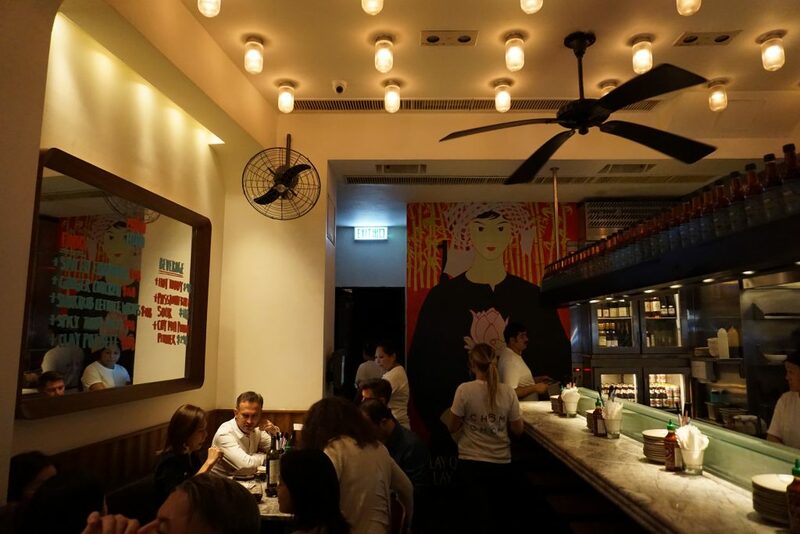 Founded by celebrity chef Peter Cuong Franklin, Chom Chom is a modern Vietnamese hotspot right off the main drag in SoHo, Hong Kong. 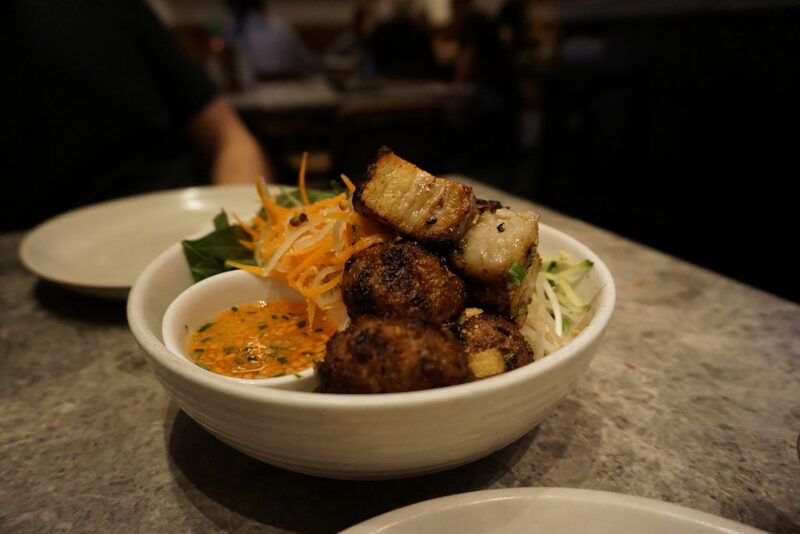 This joint features classic Vietnamese dishes with a slight modern twist. We decided to check it out ourselves after interviewing Peter on Vietcetera. 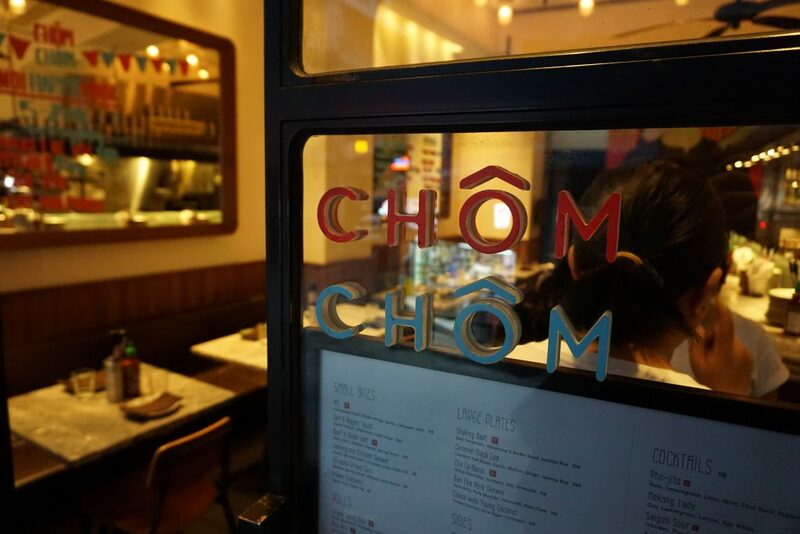 If you’re looking for a date spot, a place to visit on your travels, or a place to casually meet coworkers, look no further than Chom Chom. It’s right off the main road too which means the streetside is not jampacked with cars or people. You’ll feel at ease in this urban, yet secluded modern restaurant. It’s a hidden gem that’s right around the corner from Caine Road and Wellington Street. Incredibly hip, trendy, yet comfortable. The vibe oozes with understated luxury and good times. The food portions are just right, you can sample three or four dishes between two people for some variety. 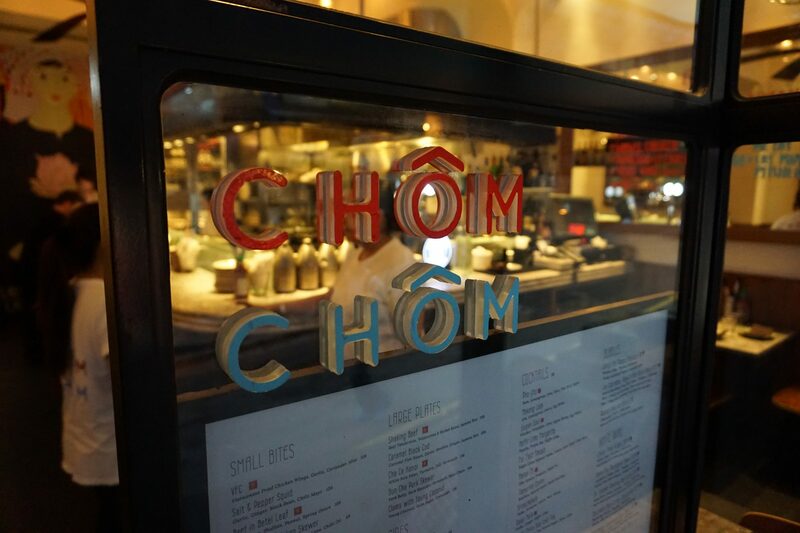 On our most recent visit to Chom Chom, the food was as good as our last visit three years ago. The service is quick and on point. I never had to wait more than a few seconds to get someone’s attention, despite there being a Friday-night packed house. The interior design is cozy, but not too crowded to the point that I was bumping elbows with a neighbor. The pull out windows that make up the entire front facade let the outdoor patio and Hong Kong streetside ambiance stream into restaurant. It really made me feel like I was in Vietnam (in a good way). Fortunately the noise is not too high, you can hold conversations here with your dinner date without having to worry about yelling over the neighboring voices (though you can’t whisper or speak with hushed voices here either). The restaurant is tiny and intimate, so don’t expect a table right away. Fortunately there’s generous outside patio space where you can enjoy a drink and some appetizers while you wait. 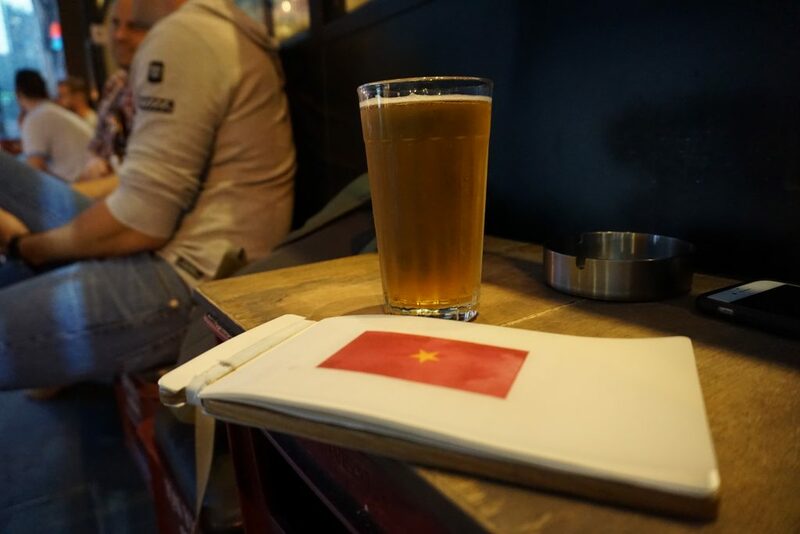 They provide comfortable cushions on top of Bia Hanoi beer crates for seating outside. The food and environment is best complemented with a drink, so be prepared to ease up a bit if you plan to eat here. It’s part of the experience.